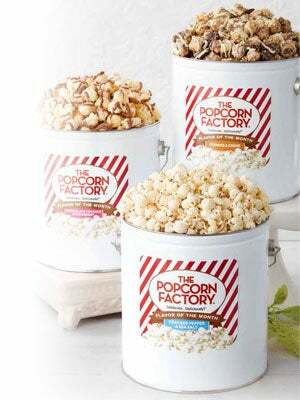 For more than 35 years, The Popcorn Factory has been the "popcorn authority" with our impressive collection of crowd-pleasing gifts and great-tasting snacks. We start with the finest corn grown right here in the USA and transform each kernel into premium popcorn using 100% corn oil and infusions of the very tastiest flavors. 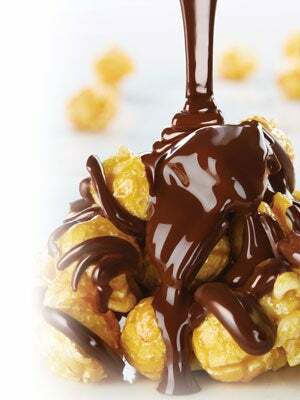 The Popcorn Factory pops over 1 million pounds of popcorn per year, and all of our popcorn is Kosher OU-D. 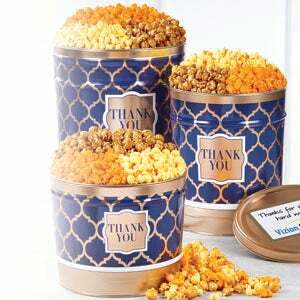 Since 1979, we've been delighting customers with delicious, premium popcorn and impressive, all-occasion gift tins, baskets and towers. In all that time, we've remained committed to bringing you fresh product, unique ideas and above all, complete satisfaction. And we back this guarantee with our Popcorn Promise: You and your recipients must be absolutely delighted! 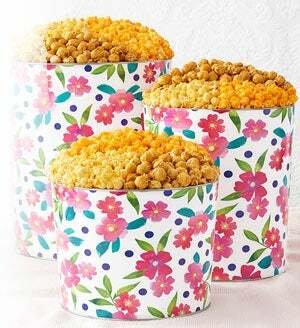 The Popcorn Factory is part of the 1-800-Flowers Family of Brands.